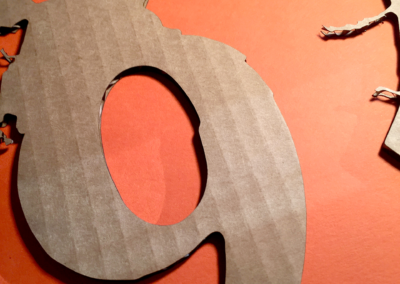 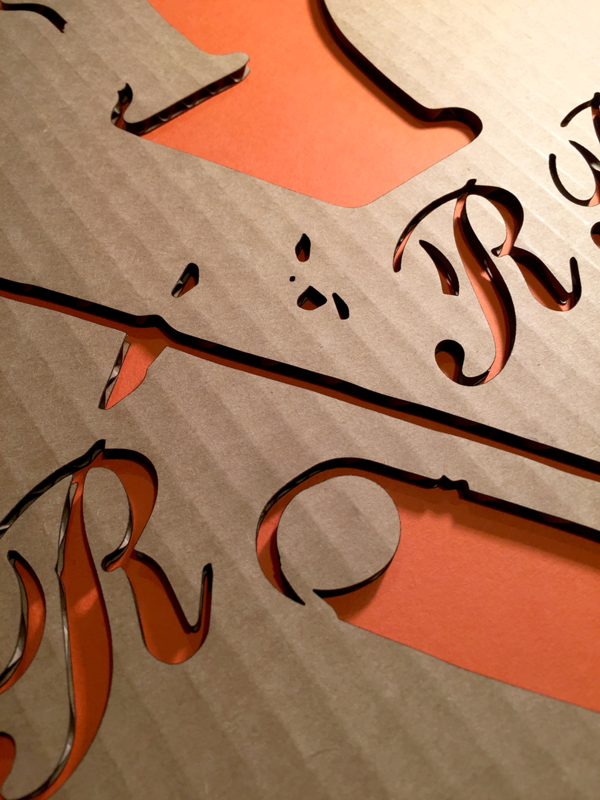 The original type transfers were created as an experiment of randomness, play, and response. 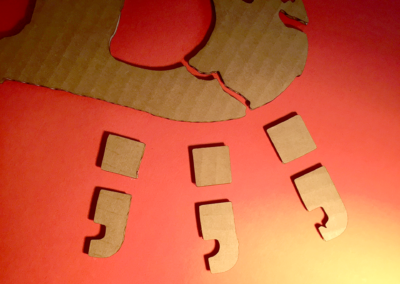 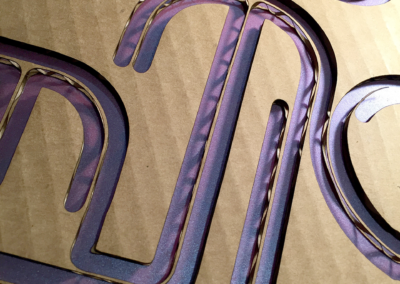 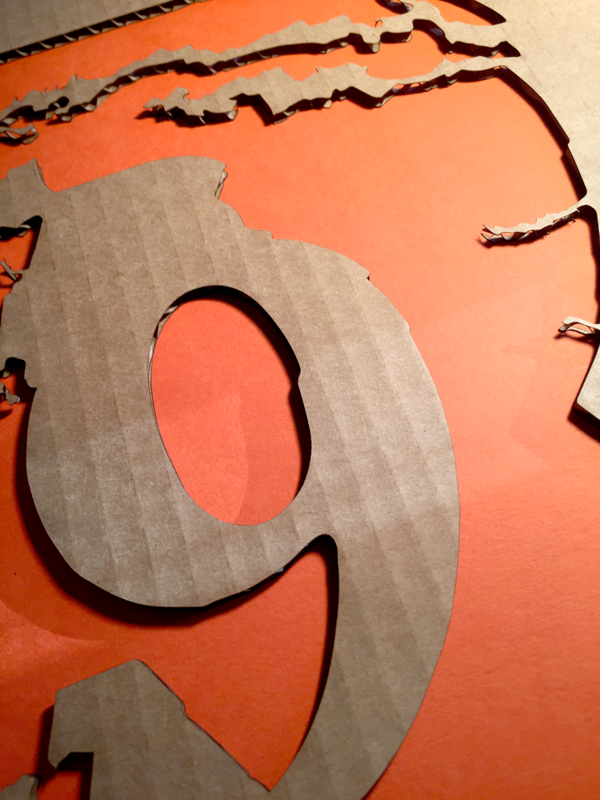 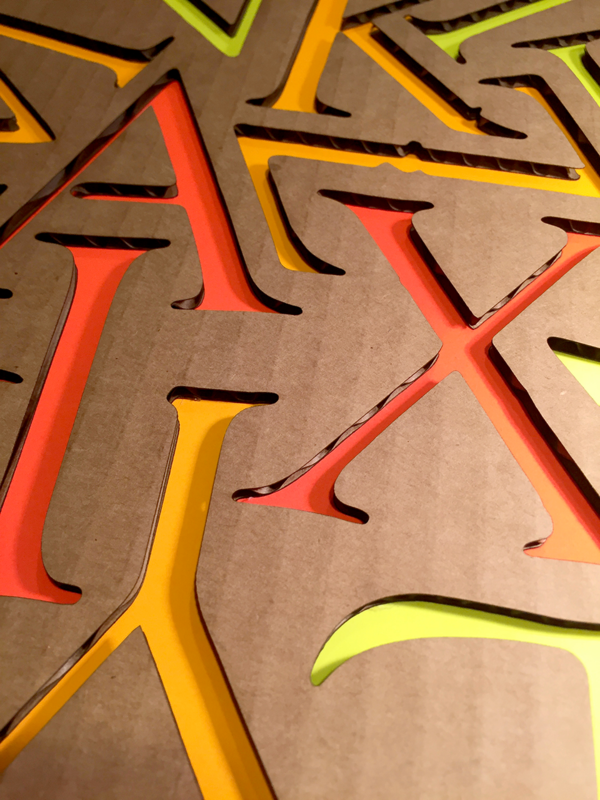 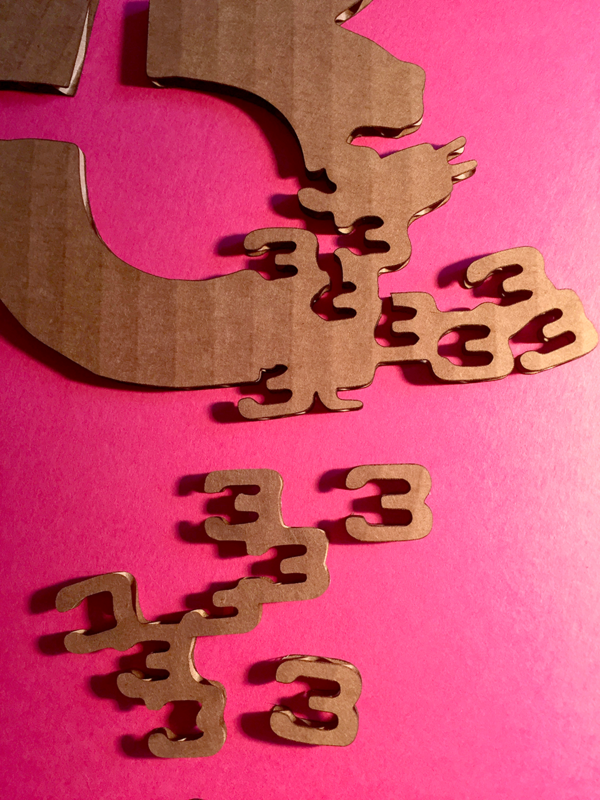 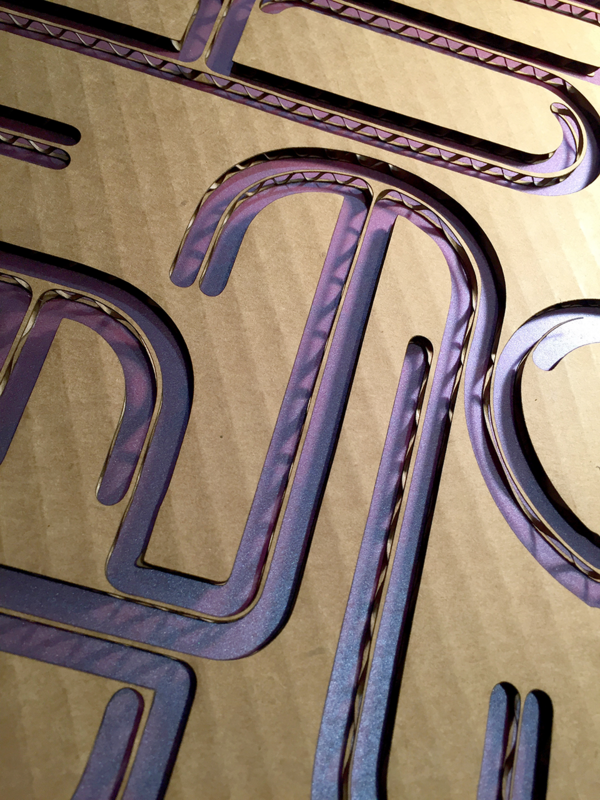 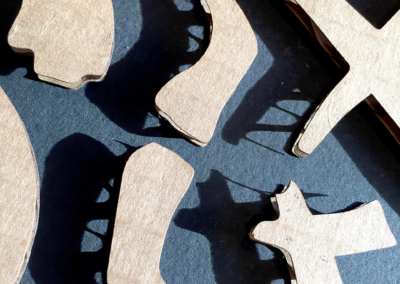 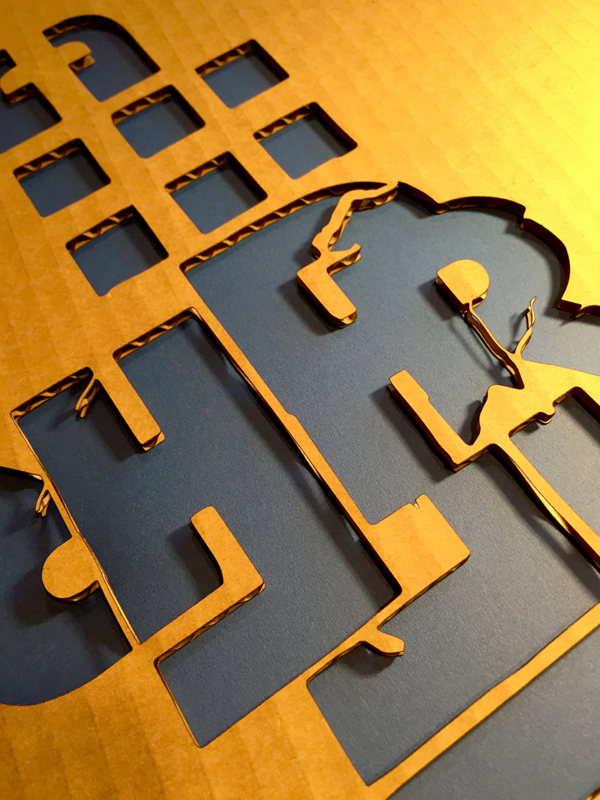 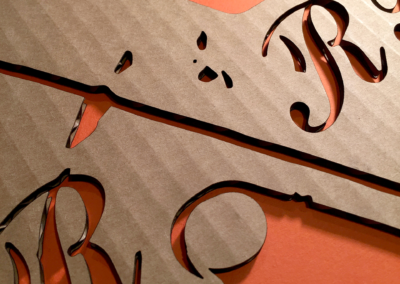 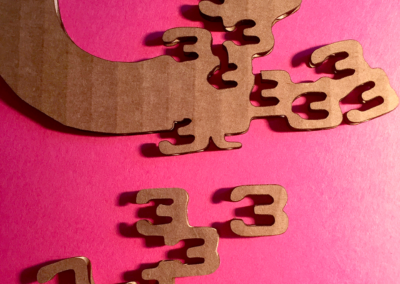 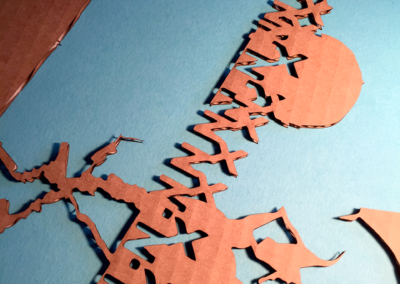 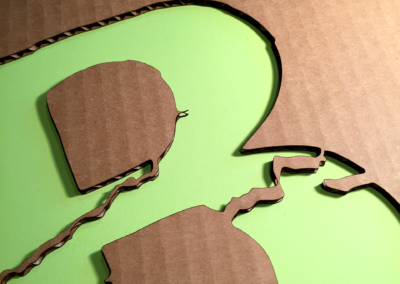 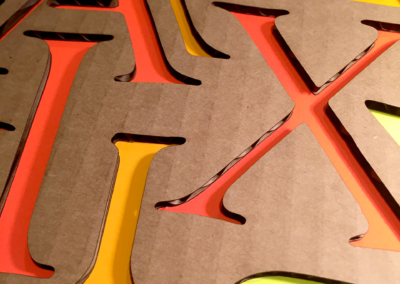 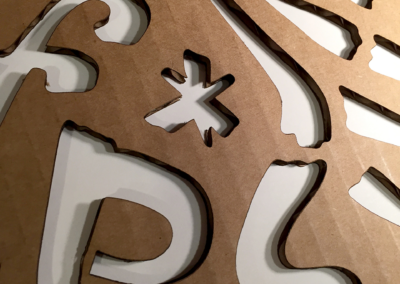 The laser cuts further explore those aspects of process in the digital environment. 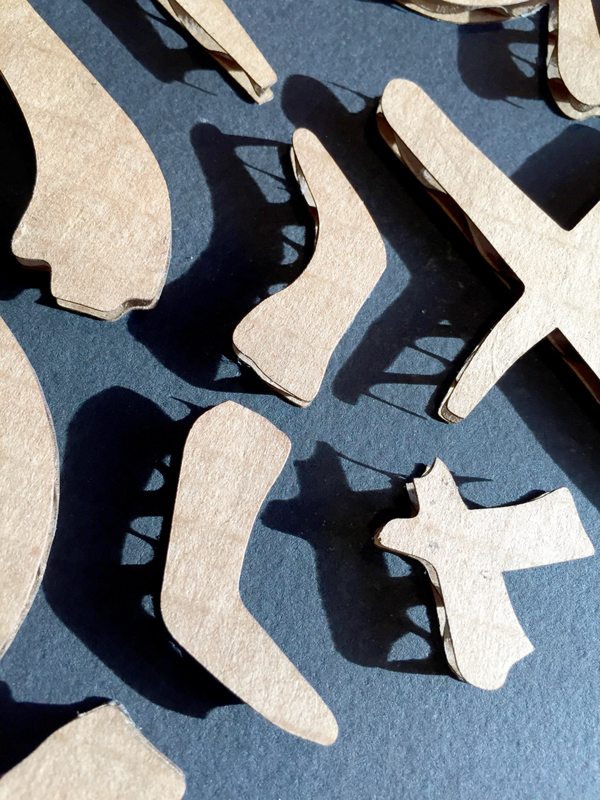 The digital tools provide opportunities to replicate exactly specific parts of the design to create compositions are both analog and digital. 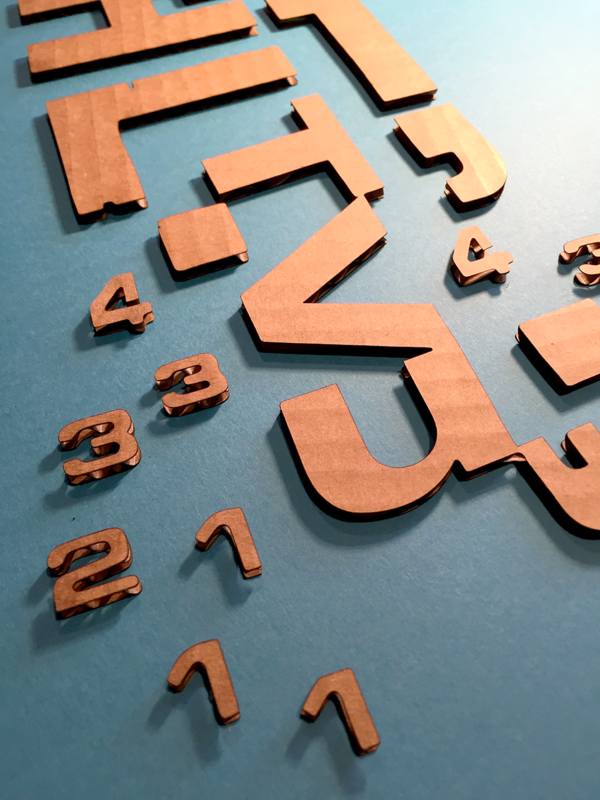 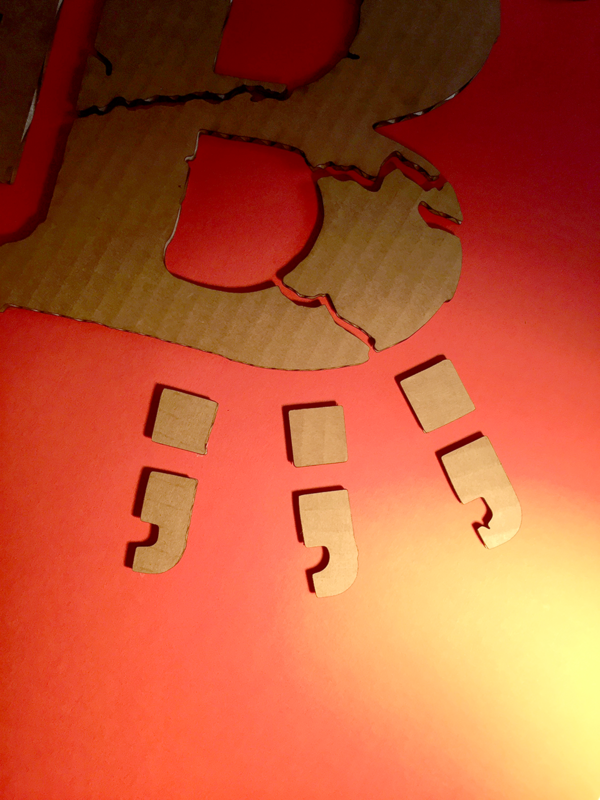 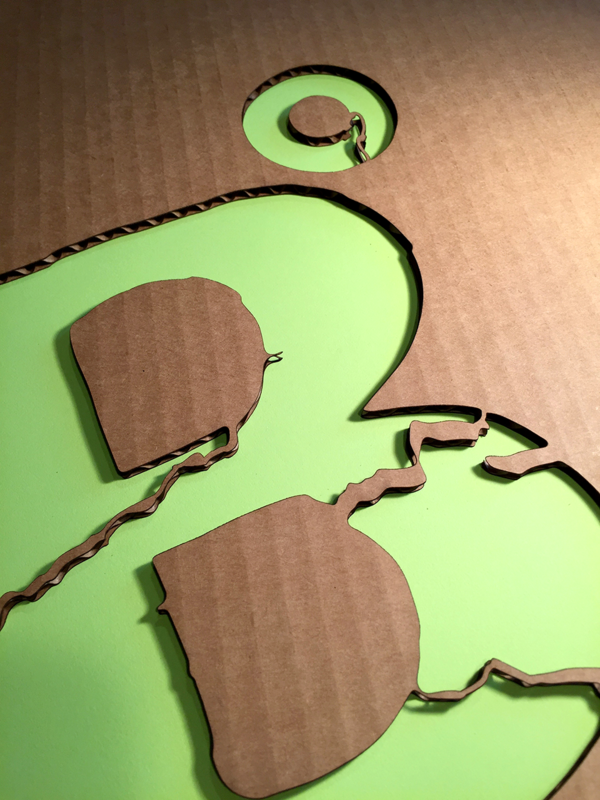 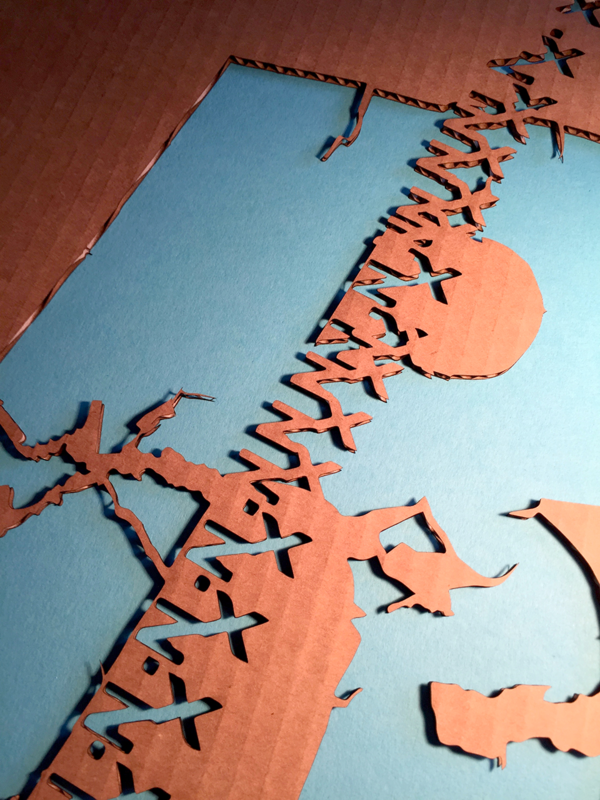 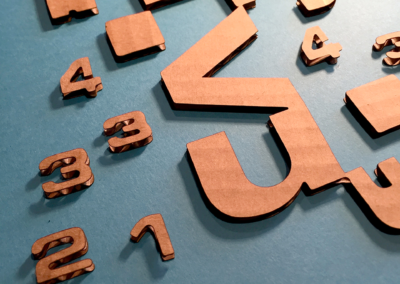 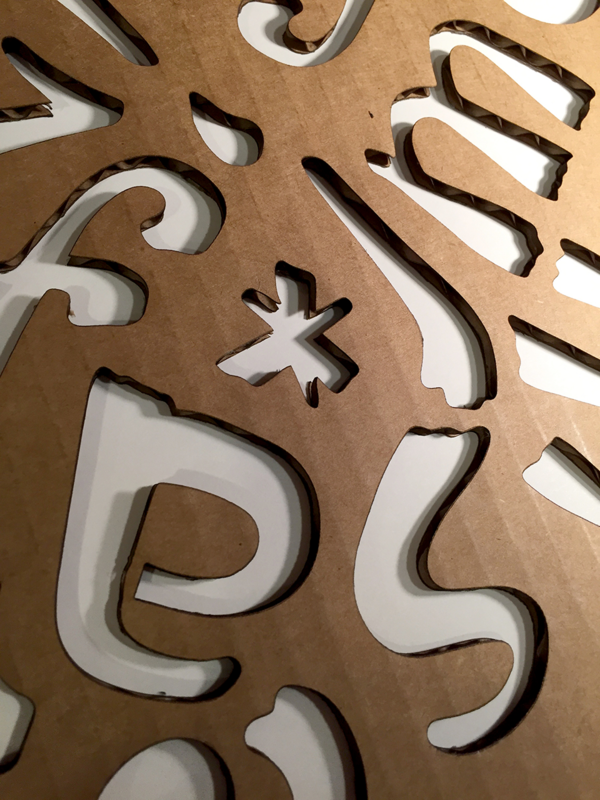 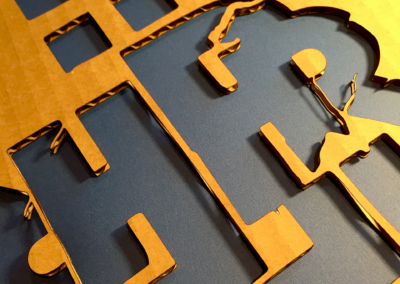 The use of the substrate was intentional to juxtapose the analog material of cardboard and the production tool of laser cutter.